It is hard to imagine a world without the electric light. America’s greatest inventor, Thomas Alva Edison, was born in Milan, Ohio on February 11, 1847, Home schooled by his mother, Edison sold candy and newspapers on trains running between Port Huron and Detroit, Michigan before taking a job as a telegraph operator. Edison holds 1,093 patents for his inventions which include: the phonograph, motion picture camera, the X-ray machine and the electric light. He created the electric power industry, the music and motion picture industries and, along with the invention of the radio by Nikola Tesla in 1892, ushered in the era of mass communication. 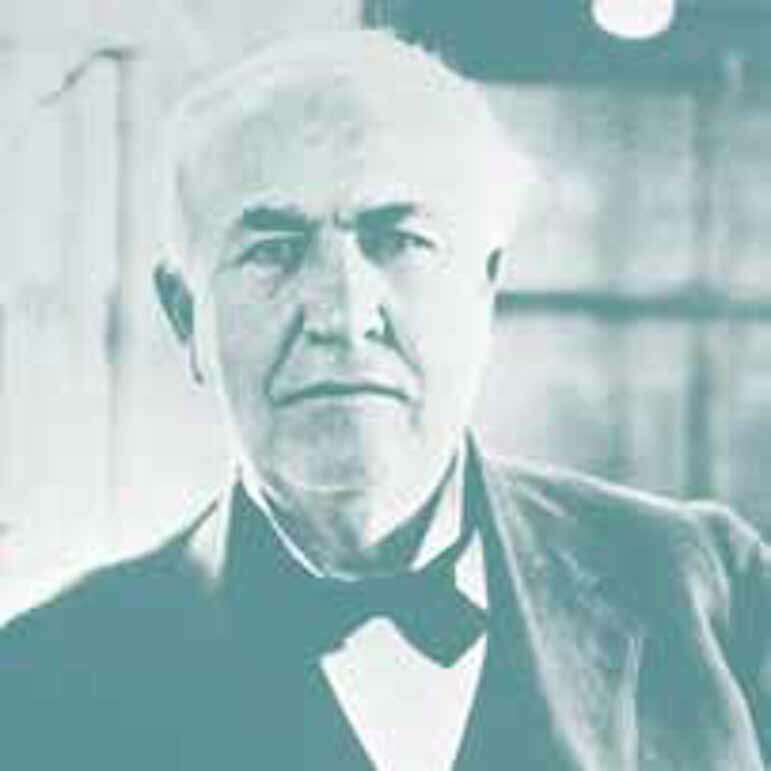 Edison founded 14 companies, General Electric among them, in his lifetime. He opened facilities in Menlo Park and West Orange, NJ, and Fort Meyers, Florida. He believed strongly in collaboration and hired the best and brightest. In addition to his own work, Edison improved Bell’s telephone and worked closely with Henry Ford and Harvey Firestone to develop the rubber for tires for Ford’s Model T.
Edison’s great achievement, the one which most changed the world, was the electric light. He first conceived the idea of a filament within a glass bulb in 1878. His first prototype was ready for testing the following year. But, the bulb only remained lit for 13.5 hours. Edison ultimately succeeded using a carbonized bamboo filament which successfully delivered 1,200 hour of light. It is impossible to overstate the impact of Edison’s contributions. The movies we watch, the music we listen to, the light bulb we read and work by all came from the imagination of one man working collaboratively with talented researchers and engineers. It was Edison who said, “Genius is one percent inspiration and ninety-nine percent perspiration.” Edison believed that, “The three great essentials to achieve anything worthwhile are, first, hard work; second, stick-to-itiveness; third, common sense.” Having transformed the world, Edison died a very famous and wealthy man on October 18, 1931.